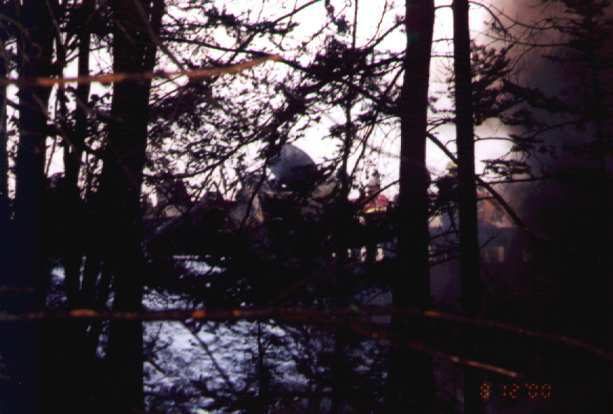 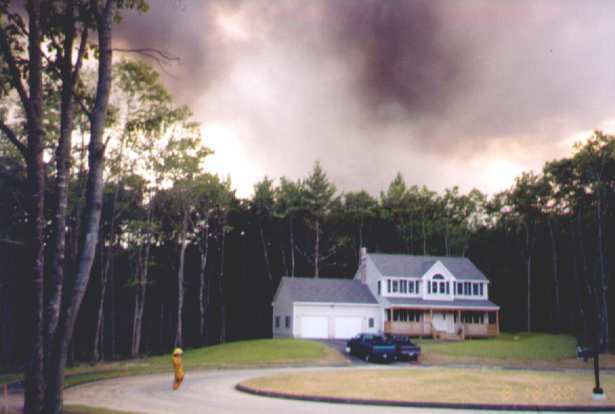 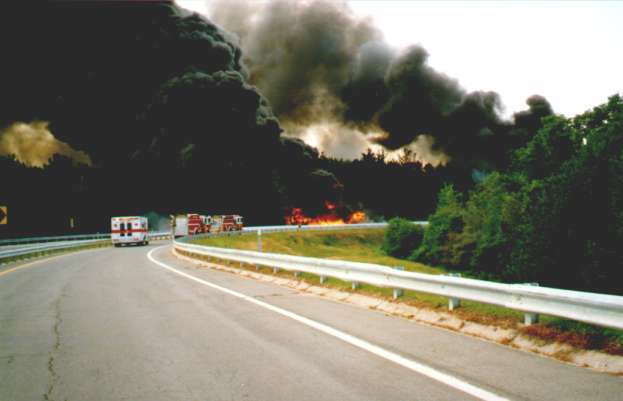 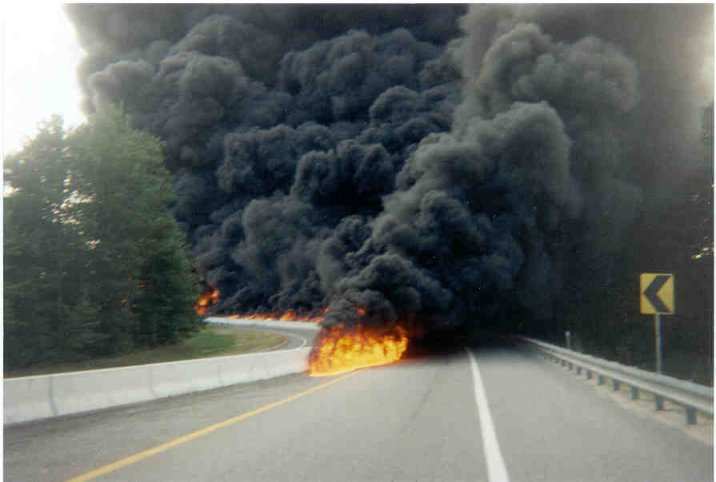 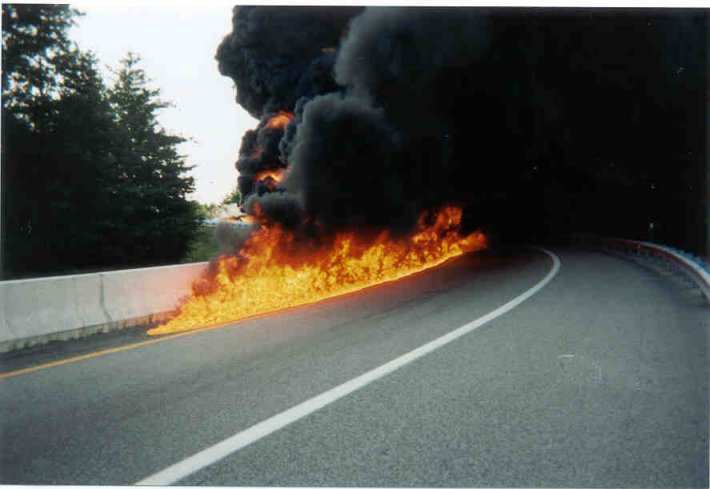 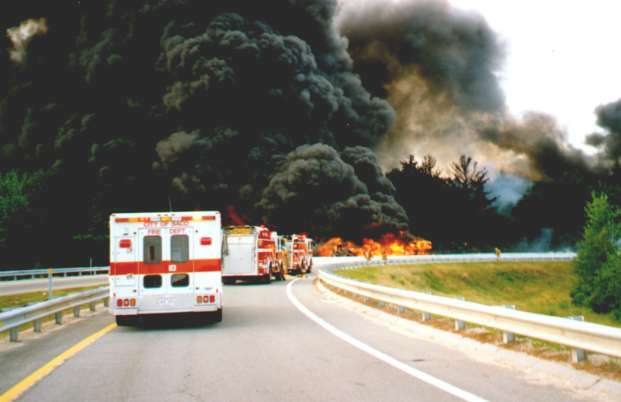 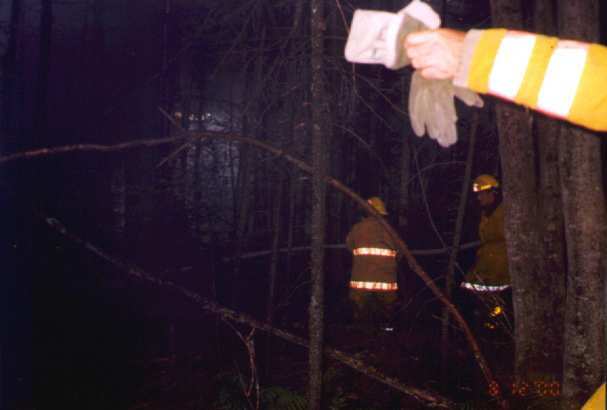 ON AUGUST 8, 2000 A GASOLINE TANKER TRUCK CARRYING OVER 13,000 GALLONS OF GAS ROLLED OVER AND EXPLODED INTO FLAMES ON THE MAINE TURNPIKE SOUTHBOUND OFF-RAMP AT EXIT 5 IN SACO, ME. 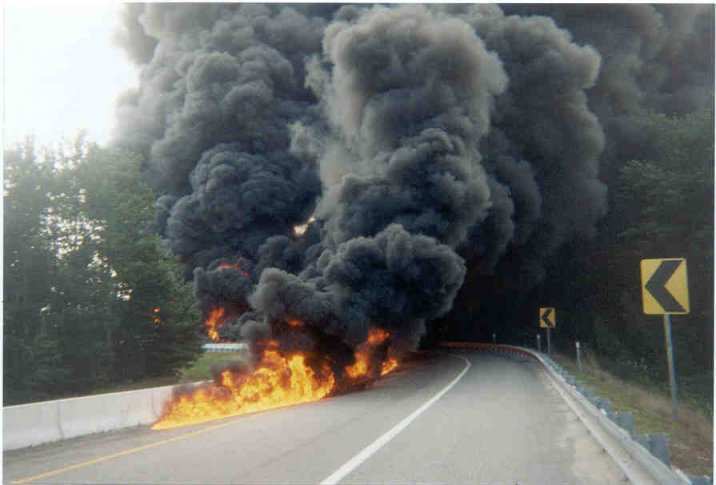 THE DRIVER OF THE TRUCK WAS KILLED INSTANTLY, NO OTHERS WERE INJURED IN THE ACCIDENT. 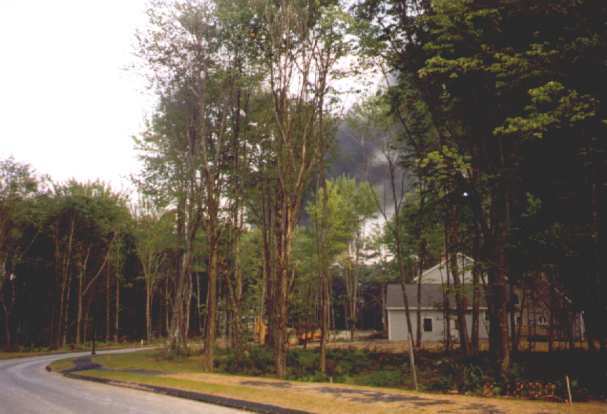 RESPONDING UNITS SAW A LARGE COLUMN OF SMOKE FROM A DISTANCE. 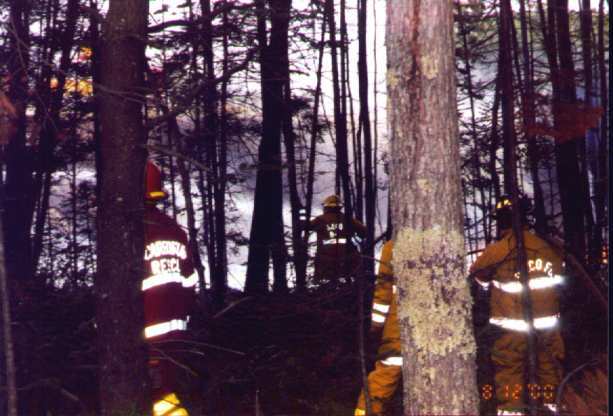 SACO'S FIRE CHIEF CALLED FOR A SECOND ALARM WHILE ENROUTE TO THE SCENE. 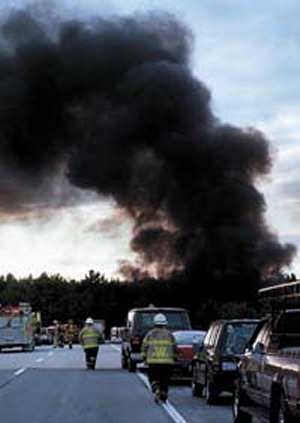 MAINE STATE POLICE CLOSED DOWN THE BACKED UP TURNPIKE WHILE SACO AND OLD ORCHARD BEACH POLICE WERE NEEDED TO DIVERT TRAFFIC AROUND THE EXIT 5 AREA. 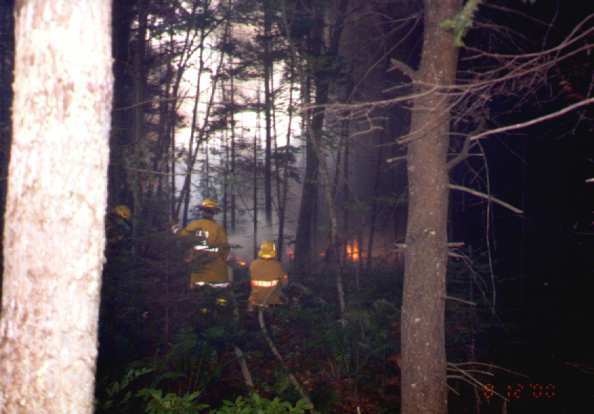 FIRE UNITS RESPONDED FROM SACO, BIDDEFORD, SCARBOROUGH, OLD ORCHARD BEACH, GOODWINS MILLS, SOUTH PORTLAND, ALFRED, AND GORHAM. 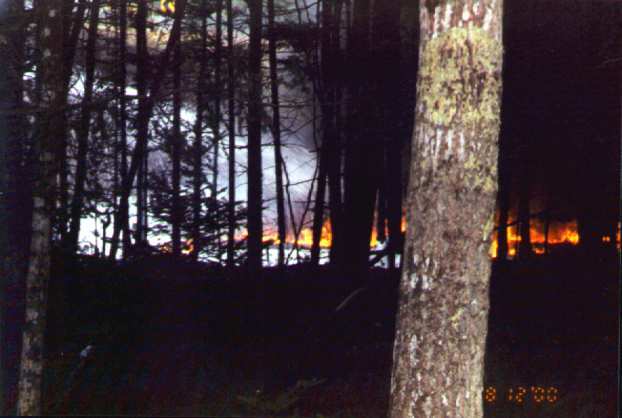 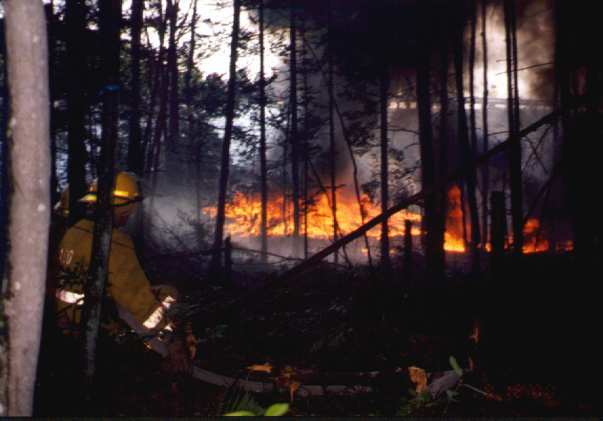 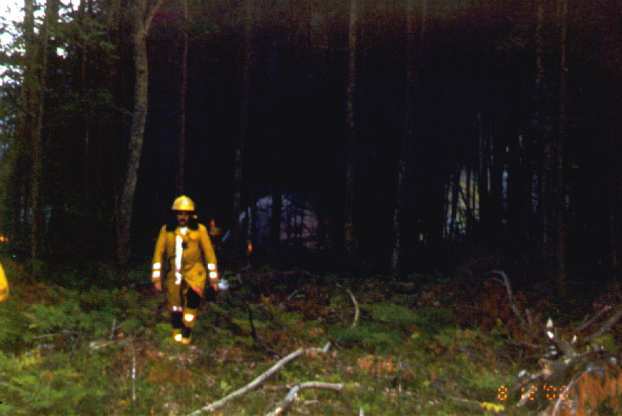 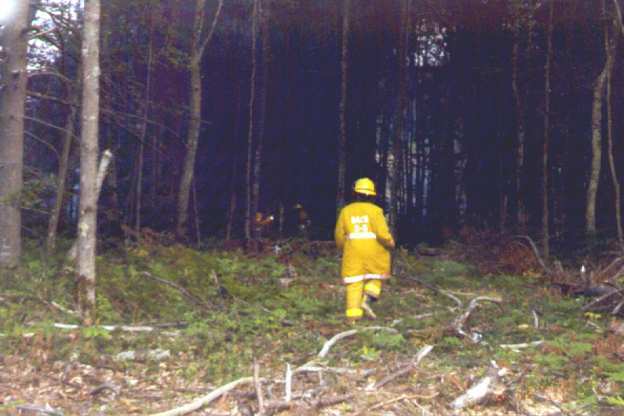 THE GASOLINE RAN DOWN THE EMBANKMENT AND CAUSED A FIRE IN THE WOODS OFF CORI ACRES.